A number of recent computing applications involve information arriving continuously over time in the form of a data stream, and this has led to new ways of thinking about traditional problems in a variety of areas. 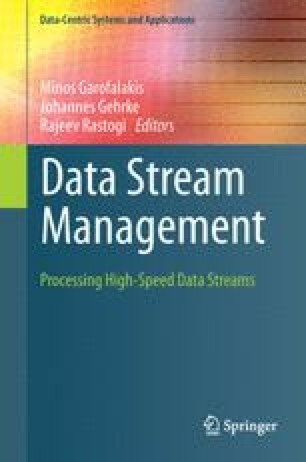 In some cases, the rate and overall volume of data in the stream may be so great that it cannot all be stored for processing, and this leads to new requirements for efficiency and scalability. In other cases, the quantities of information may still be manageable, but the data stream perspective takes what has generally been a static view of a problem and adds a strong temporal dimension to it. Our focus here is on some of the challenges that this latter issue raises in the settings of text mining, on-line information, and information retrieval. This survey was written in 2004 and circulated on-line as a preprint prior to its appearance in this volume.